All of us have created a lifestyle that suits us. For some of us, a big home, nice cars, travel and designer clothes is what our life is all about. For others, using coupons and finding discount when they shop is how they choose to live their life. We all have the freedom to make this choice and it is the job we have that supports that choice. If what you have is not enough, you will educate yourself so you qualify for a better paying job and if you want to lower you cost of living, you will find ways to accomplish that. Living on less means spending less in many areas of your life. You could spend less by comparing prices before you shop and to always avoid paying retail prices.You could cut your energy bill by have a programmable thermostat in your home or you could brew your own coffee in the morning and not stop for that designer cup of coffer on your way to work each morning. You might even look over your car insurance policy to make sure you are not paying for something you will never need and when its time to travel, shop around for a package deal so you spend less on your accommodations and flights. How about taking a second look at your mobile phone contract and see if you can cut down on your allotted minutes or if you might be paying for text messaging that you don't use. You can even use finance apps to help you spend less. 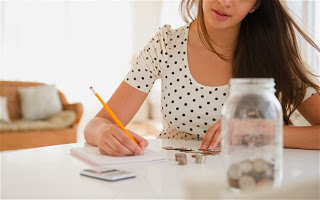 There are apps to help you make a budget so you can track your income and your spending or why not download the app that is a debt payoff planner? This app will have your saving money faster so you are able to get out of debt and stop living from paycheck to paycheck. This is a tip that will certainly save you money.